Born in Montréal in 1953, gordon harrison showed an interest in art at an early age. Enthralled by the natural laurentian landscapes surrounding him as a young boy, he followed his passion choosing to study landscape architecture at the University of Toronto. 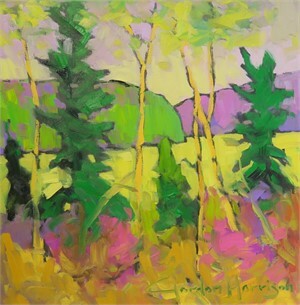 Gordon Harrison is a juried member of the society of canadian artists and l’académie internationale des beaux-arts du Québec. 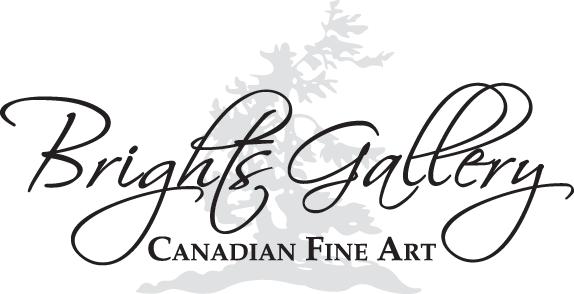 His partner and gallerist, Phil Emond, operates the gordon harrison canadian landscape gallery which showcases Gordon Harrison’s collection of canadian landscapes from his travels across Canada. Although mainly self-taught, gordon has taken courses at the Ottawa school of art, and was highly influenced by one of Canada’s foremost artists, Québec’s Jean-René Richard (1895–1982). His book the colours of canada gives our canadian landscapes a strong voice – it tells the journey of an artist who everyday pursues his long-time passion for our canadian landscapes with his paint brush on hand and a dream that over time came true. 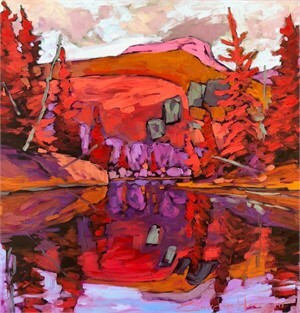 He has gained an international reputation producing impressive collections of canadian landscapes from his travels across canada. 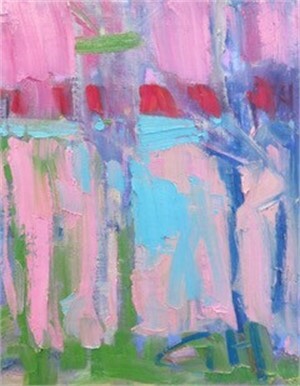 His work is a combination of great power and softness. Often referred to as the eighth member of the group of seven, his figurative landscapes on the edge of abstraction, are a contemporary vision of what would have become the group of seven paintings. 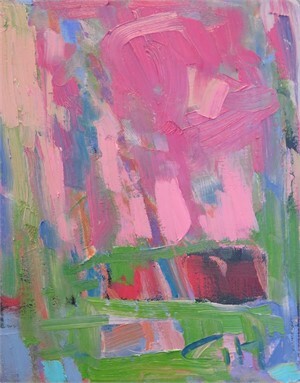 In 2016, Gordon Harrison received international recognition as best solo artist at new york international art expo among more than 400 international artists. In 2014, he received national recognition with first prize at the national painting competition of rêves d’automne in baie-saint-paul, Charlevoix region, Québec, competing among 140 canadian artist and 251 paintings from canada and europe. In 2010, he was invited to share his journey as an artist at the National Gallery of Canada. 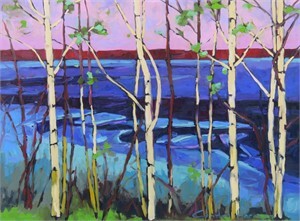 “Canadian landscape inspires gordon harrison’s work and his life. Gordon Harrison is in a happy place following his heart, awakening his senses in a landscape playground. 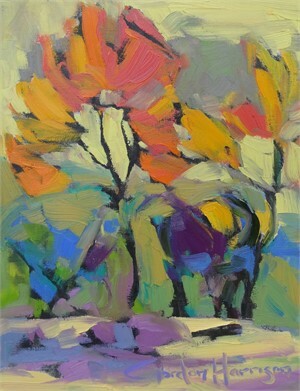 He has developed into one of canada’s foremost landscape painters. That ease of expression has been a long-time gift. Lost in a world of colour and possibility where paint swirls in celebration of canadian landscape, that little boy who once was lost for words has much to express about the beautiful planet. Painting has given him a voice and art lovers everywhere are listening.” —Joel Haslam, CTV News Born in Montréal in 1953, gordon harrison showed an interest in art at an early age. Enthralled by the natural laurentian landscapes surrounding him as a young boy, he followed his passion choosing to study landscape architecture at the University of Toronto. 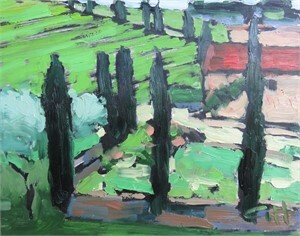 Gordon Harrison is a juried member of the society of canadian artists and l’académie internationale des beaux-arts du Québec. 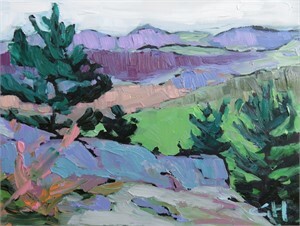 His partner and gallerist, Phil Emond, operates the gordon harrison canadian landscape gallery which showcases Gordon Harrison’s collection of canadian landscapes from his travels across Canada. Although mainly self-taught, gordon has taken courses at the Ottawa school of art, and was highly influenced by one of Canada’s foremost artists, Québec’s Jean-René Richard (1895–1982). His book the colours of canada gives our canadian landscapes a strong voice – it tells the journey of an artist who everyday pursues his long-time passion for our canadian landscapes with his paint brush on hand and a dream that over time came true. 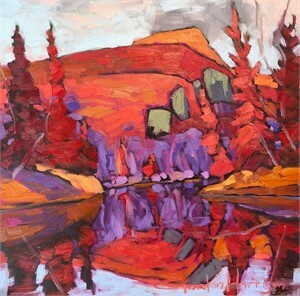 He has gained an international reputation producing impressive collections of canadian landscapes from his travels across canada. His work is a combination of great power and softness. Often referred to as the eighth member of the group of seven, his figurative landscapes on the edge of abstraction, are a contemporary vision of what would have become the group of seven paintings. 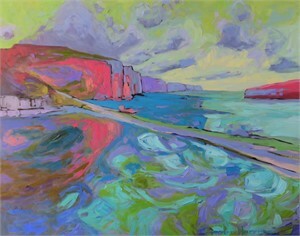 In 2016, Gordon Harrison received international recognition as best solo artist at new york international art expo among more than 400 international artists. In 2014, he received national recognition with first prize at the national painting competition of rêves d’automne in baie-saint-paul, Charlevoix region, Québec, competing among 140 canadian artist and 251 paintings from canada and europe. In 2010, he was invited to share his journey as an artist at the National Gallery of Canada.